Before we begin with the move description, it is important to note that both of these Pokémon are naturally found in the opposite games. 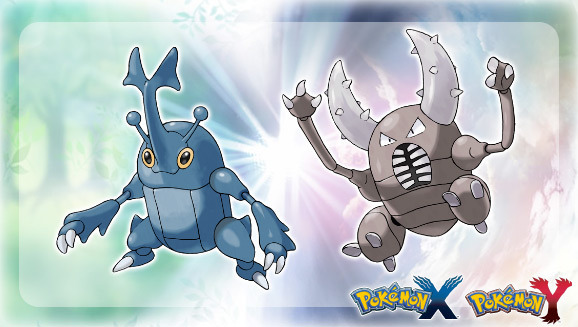 On Route 12, Heracross is found in Y and Pinsir is found in X, so this is the only way you can naturally get this character in your game without trading or Pokétransfer. Both of these Pokémon have megaevolutions, but you do not get the mega stone upon downloading the character. In order to get the mega stone, you need to download the character via internet and then take your Nintendo 3DS/2DS to a participating GameStop and grab a physical card with a code to get the mega stone. Be sure to download to get these great Pokémon! The event is valid from August 13 – September 17, 2014, but the mega stone cards are in limited supply at GameStop. Be sure to check Pokémon.com for more information, including instructions on how to download.